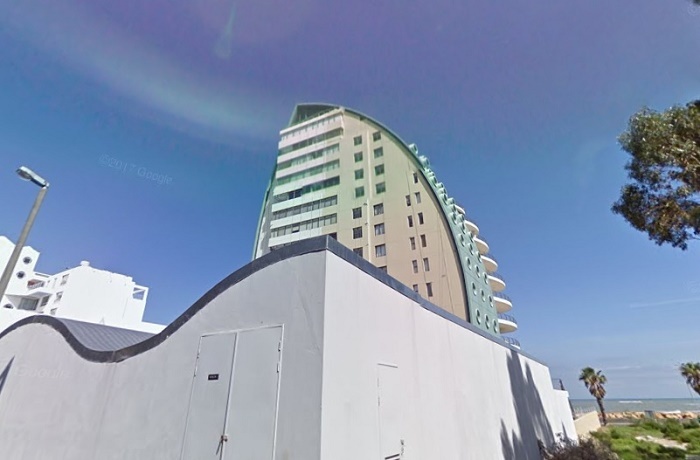 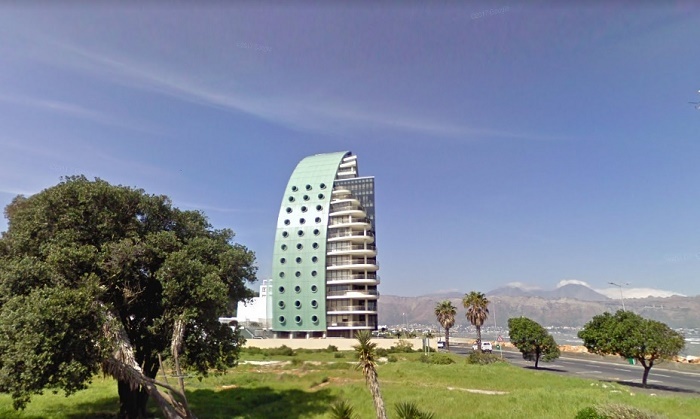 The Atlantica Building is a residential building with very futuristic design that is located on Beach Road in the city of Cape Town, within the Republic of South Africa. 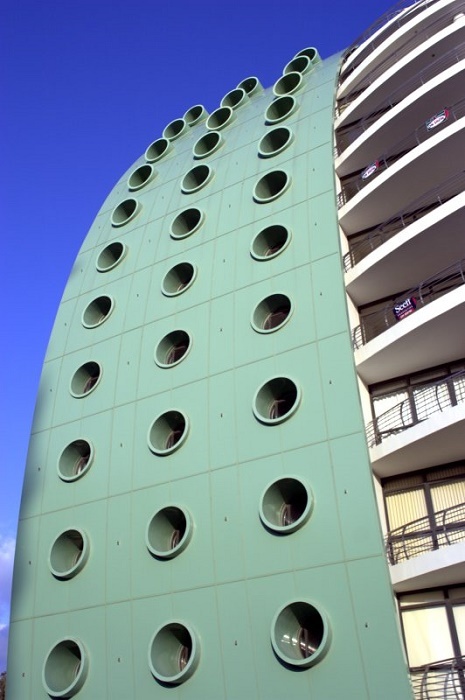 With 16 floors, the building itself is a real marvel of architecture, since in its construction were used not just reinforced concrete and steel, but also copper, which gives a unique spring green color to the structure. 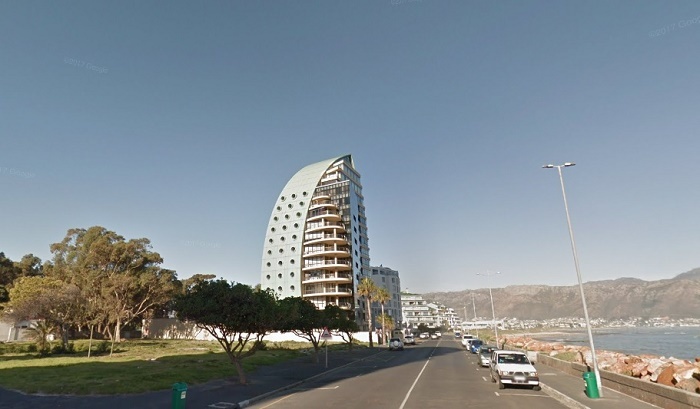 With a height of 60 meters (197 feet), the construction of Atlantica began in 2003 and it was completed by 2005, when it was officially opened. 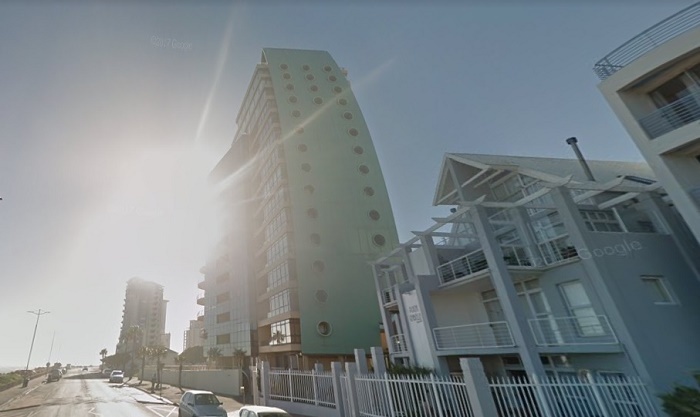 As the city is seeing continuous development projects, Atlantica is certainly served as an example of how some buildings should be built, simply because it is a high-quality, futuristic, upmarket beachfront apartment building. 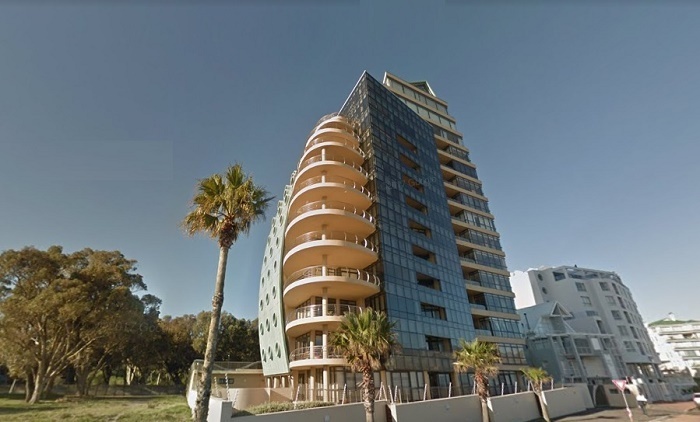 Designed by Albertyn & Viljoen Architects, the structure has precisely 33 luxurious apartments and penthouses, and it offers a unique lifestyle for an excellent value while giving Cape Town uncommon feature that deserves to be seen in person.